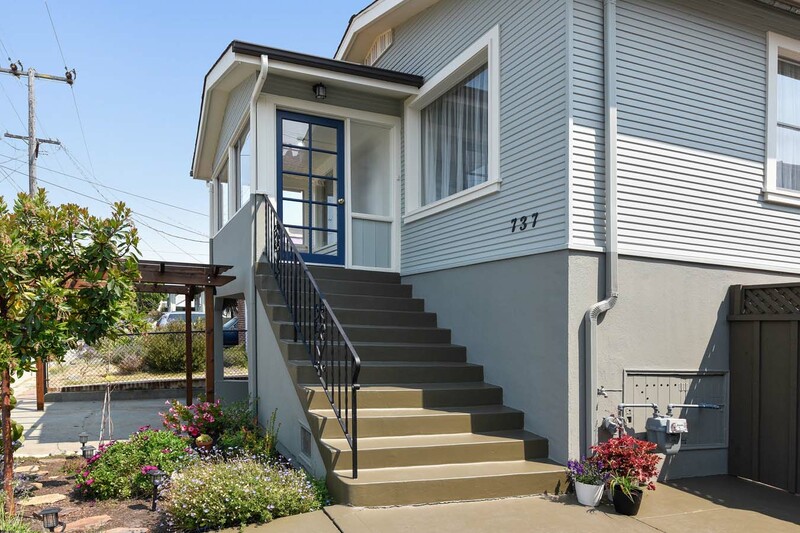 Welcome to 737 Cornell, a sophisticated + thoughtfully re-designed bungalow located in the heart of Albany. 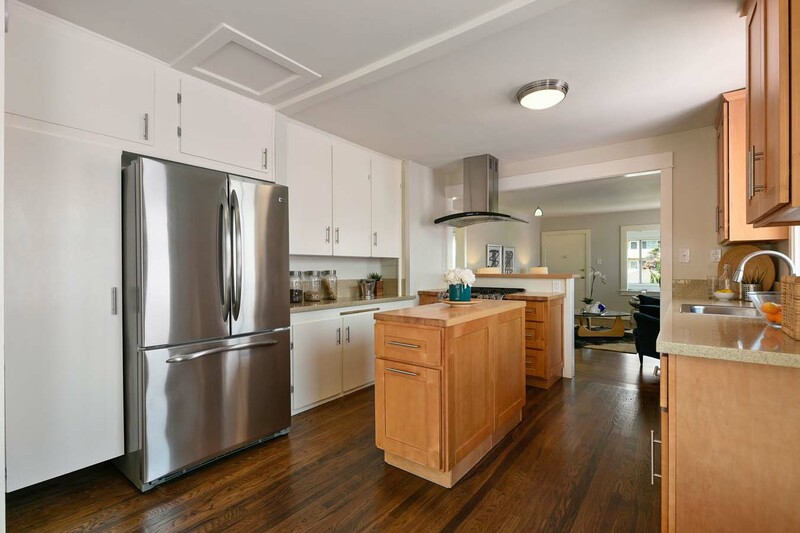 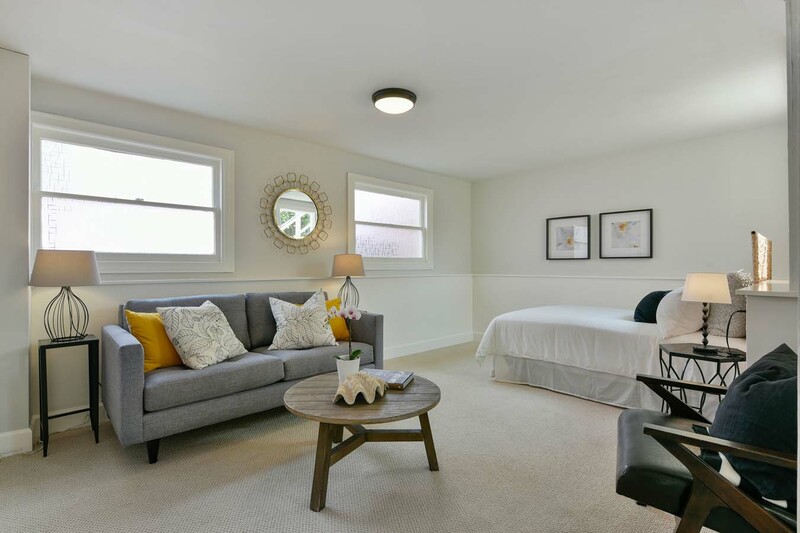 This beautiful home features 2 bedrooms + 1 bath upstairs; downstairs you will find an additional bedroom, ¼ bath, and remodeled family room with exterior access from the front and back. 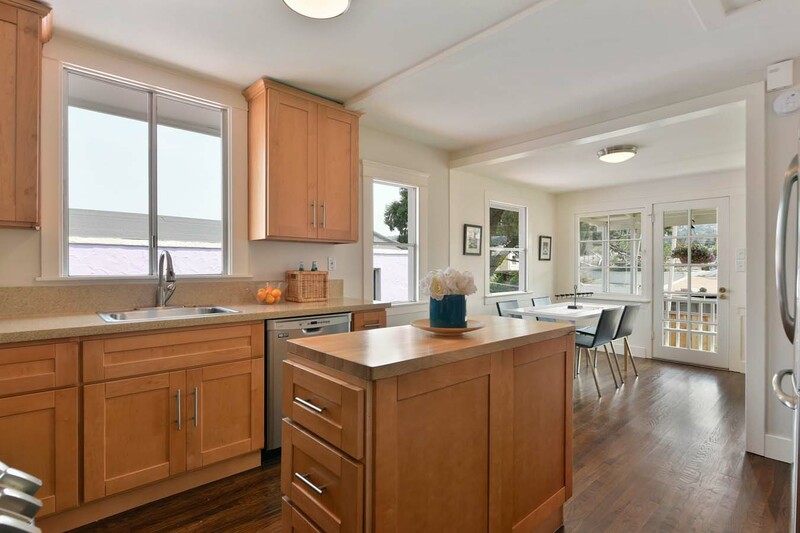 The updated kitchen opens up to the living room + dining room creating plenty of space for entertaining. 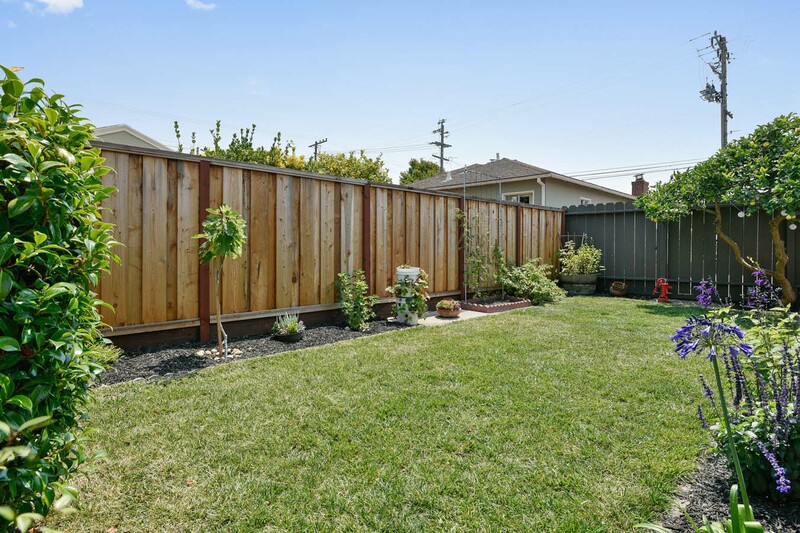 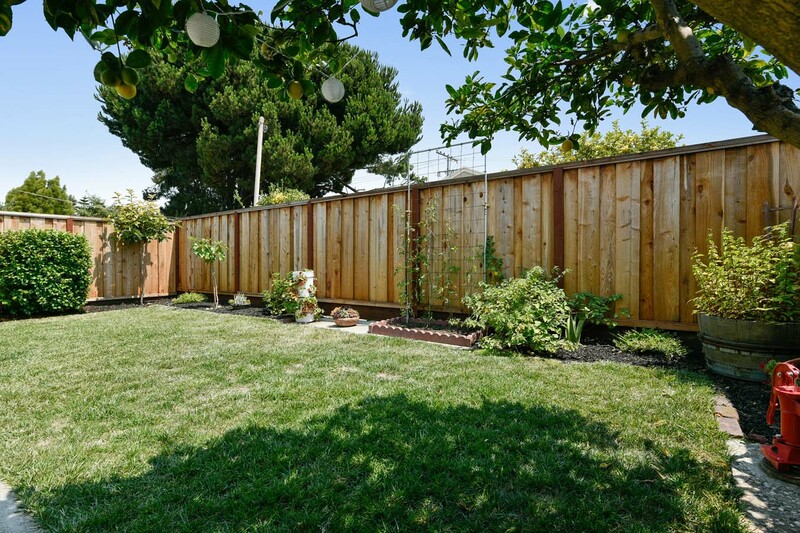 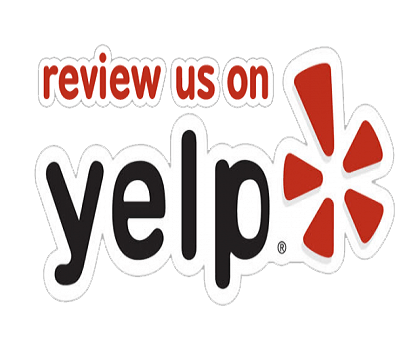 The yard has been tastefully landscaped and includes a variety of fruits, vegetables and mature trees. 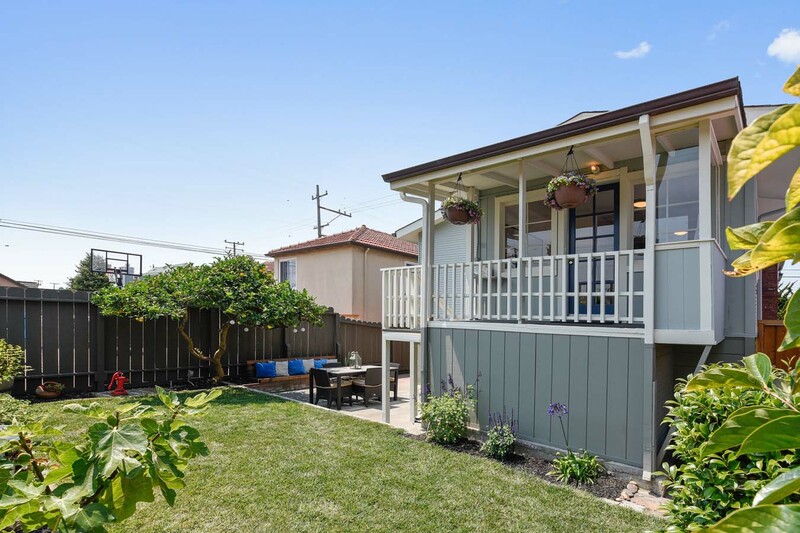 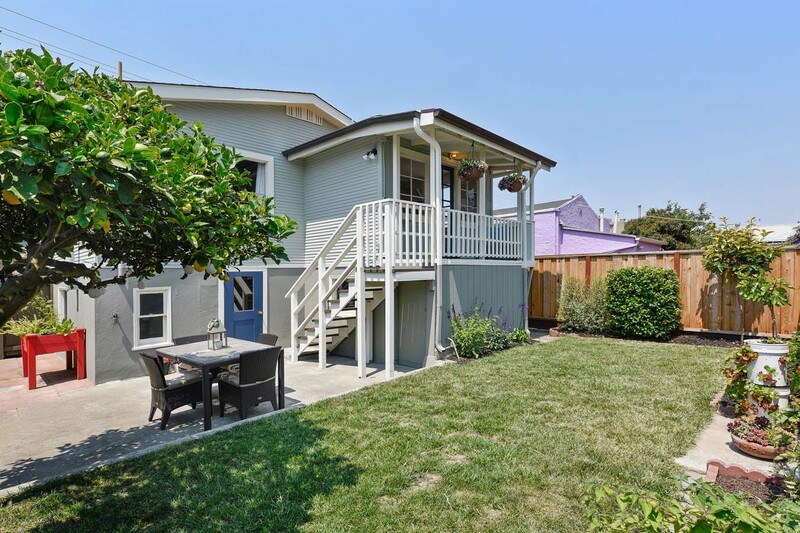 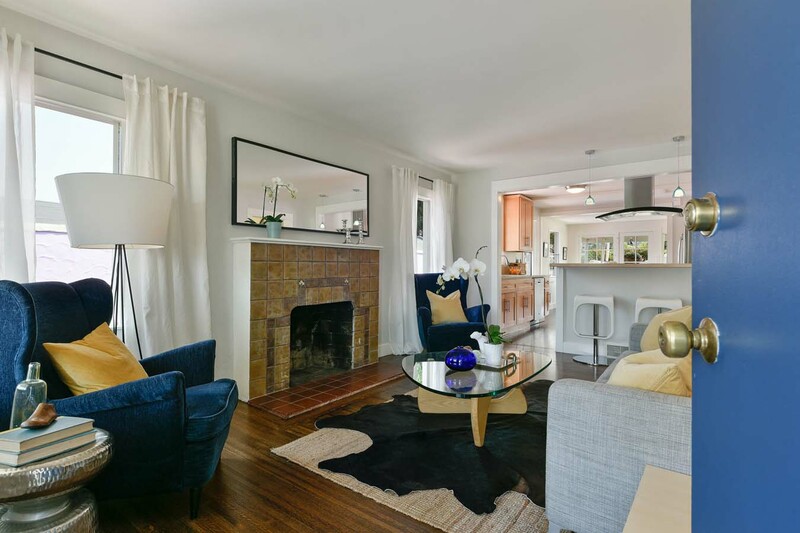 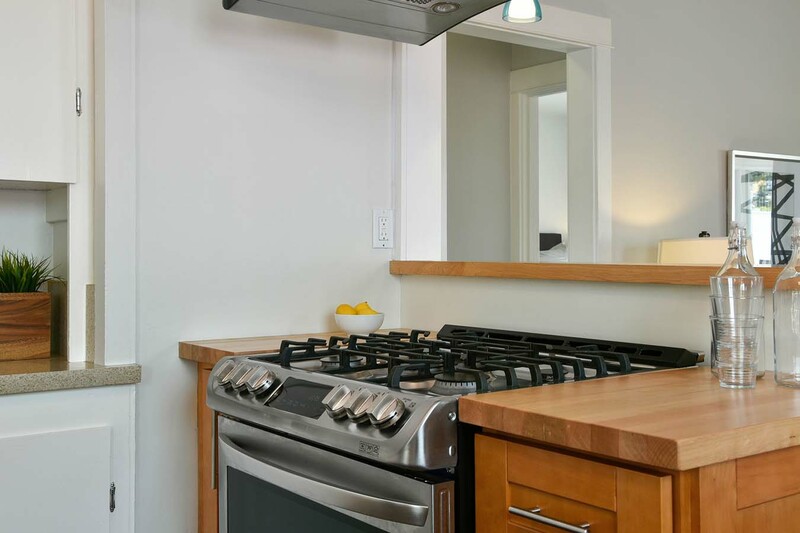 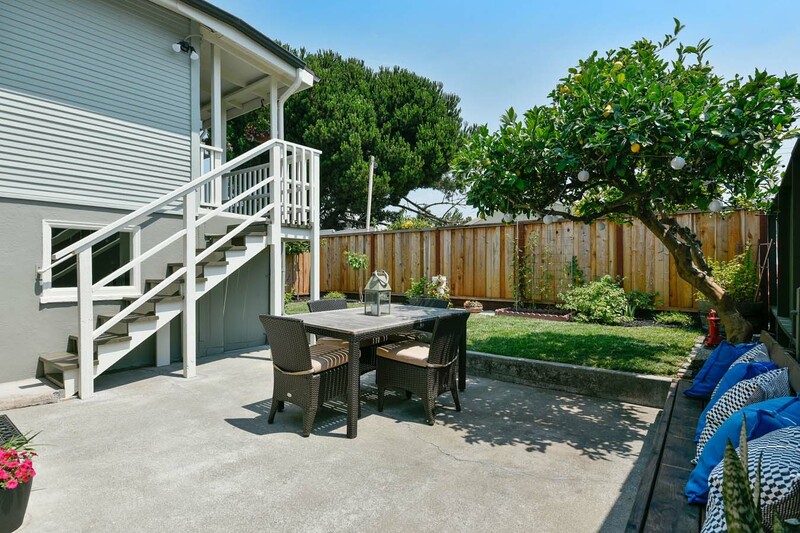 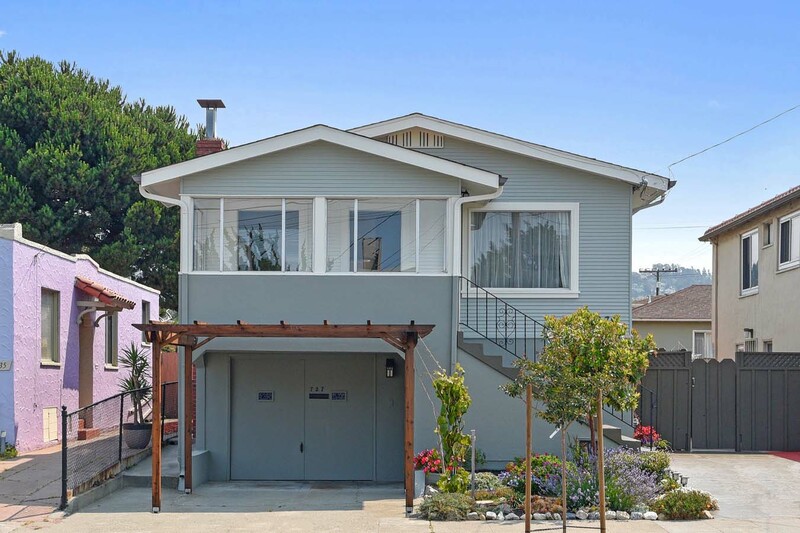 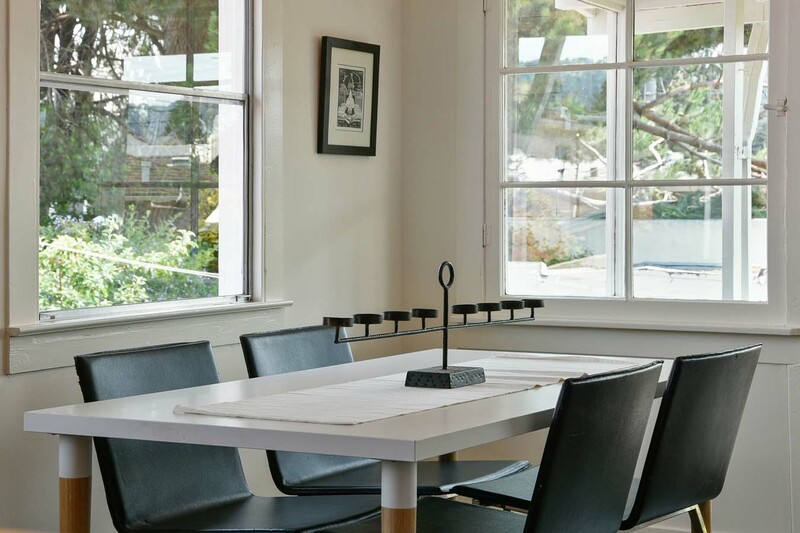 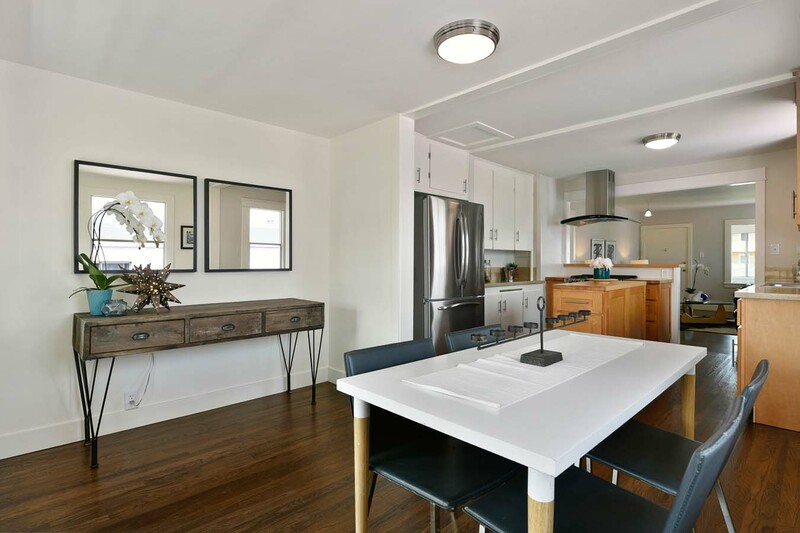 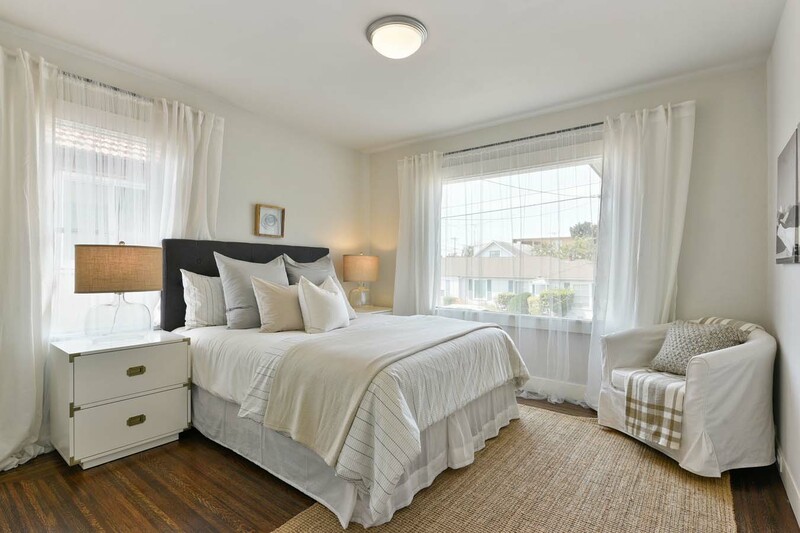 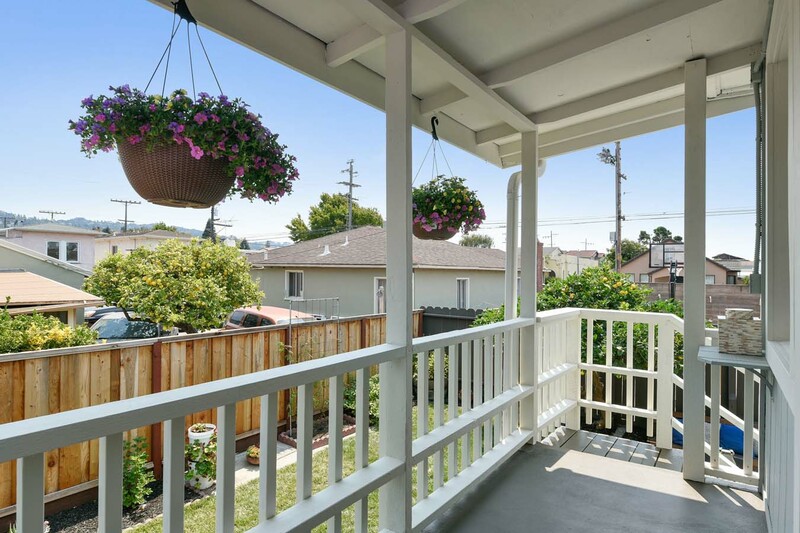 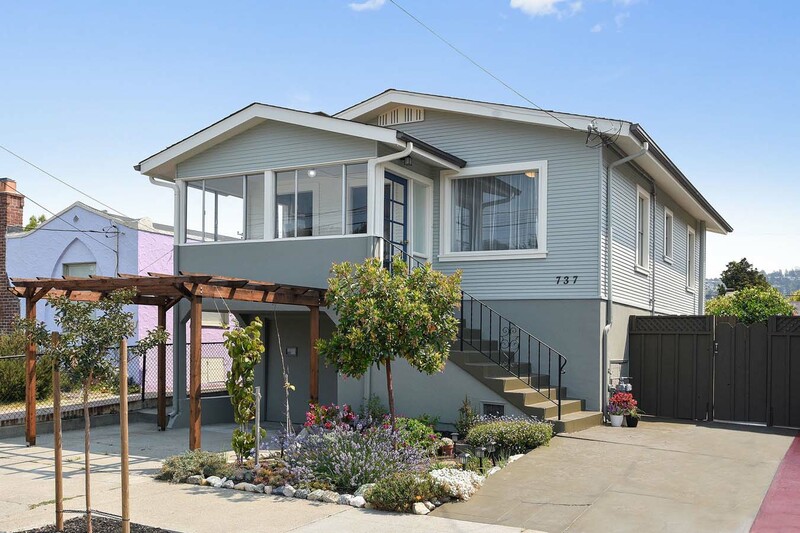 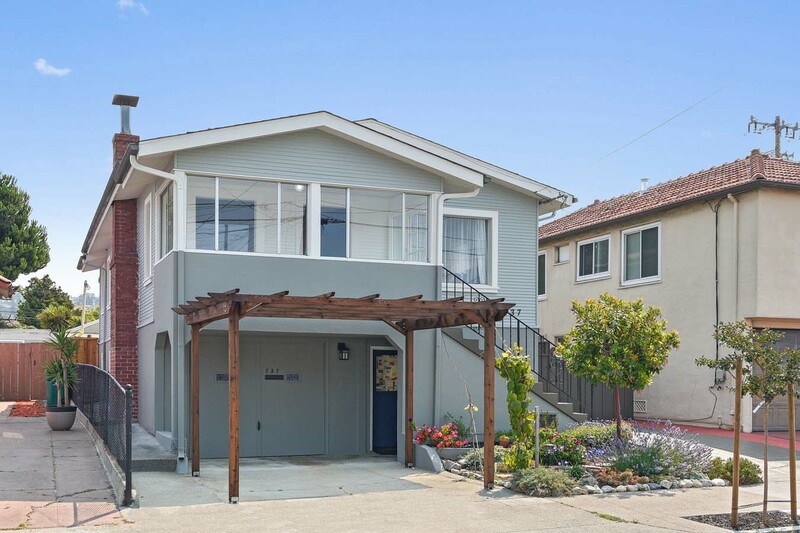 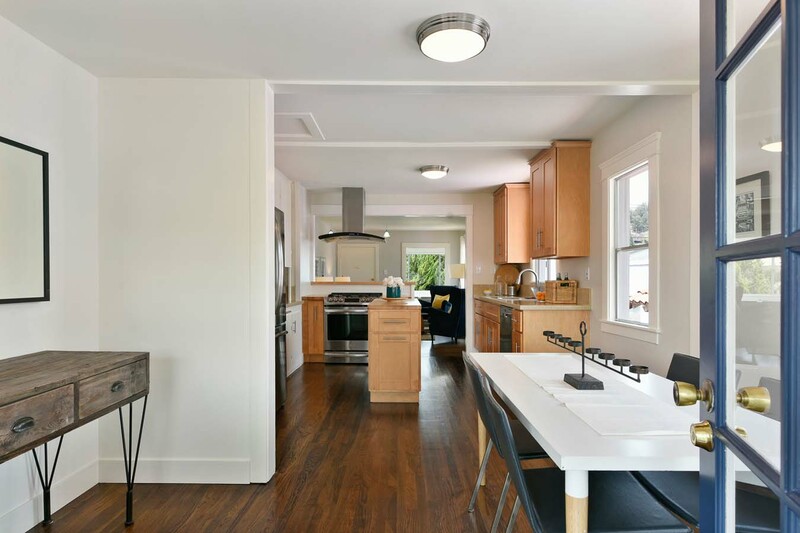 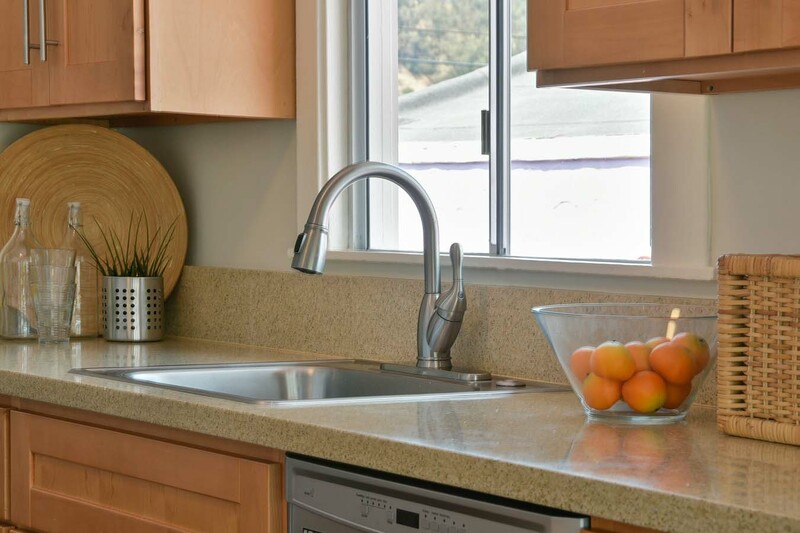 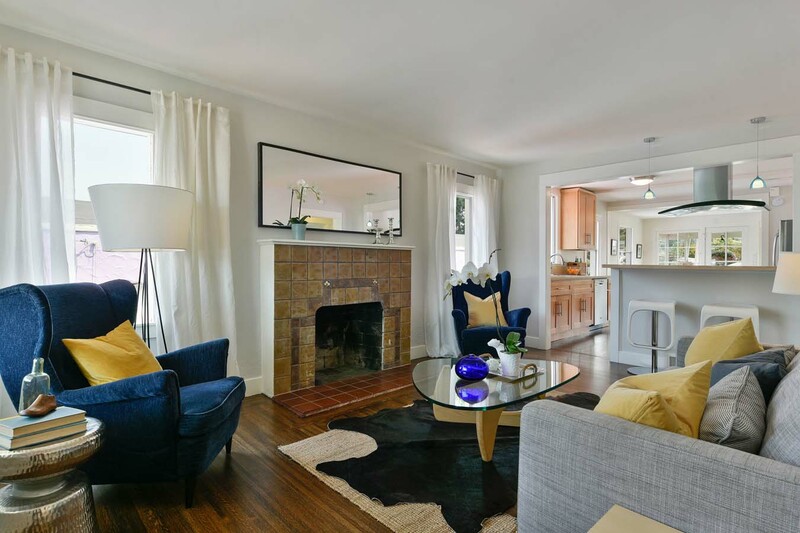 Located 1 block from Solano Ave shops + restaurants and close to parks, BART, biking trails, and top-rated Albany schools. 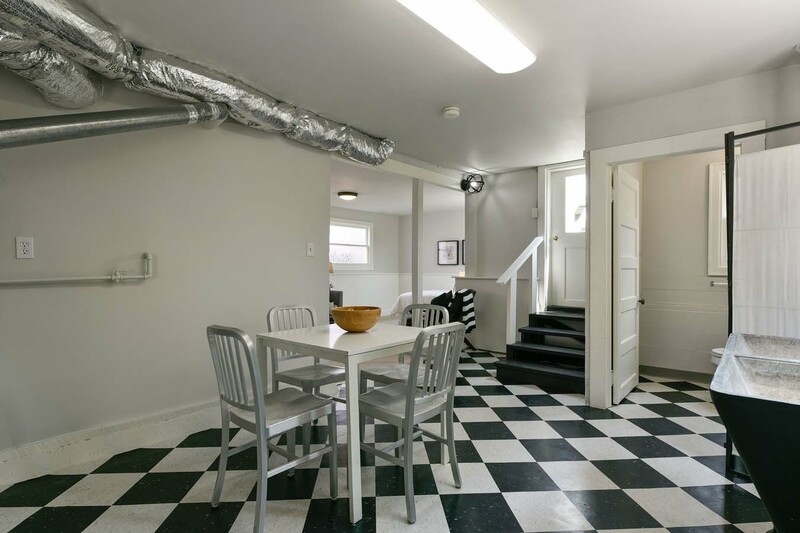 737 Cornell Avenue is located in a vibrant + friendly community in the heart of Albany. 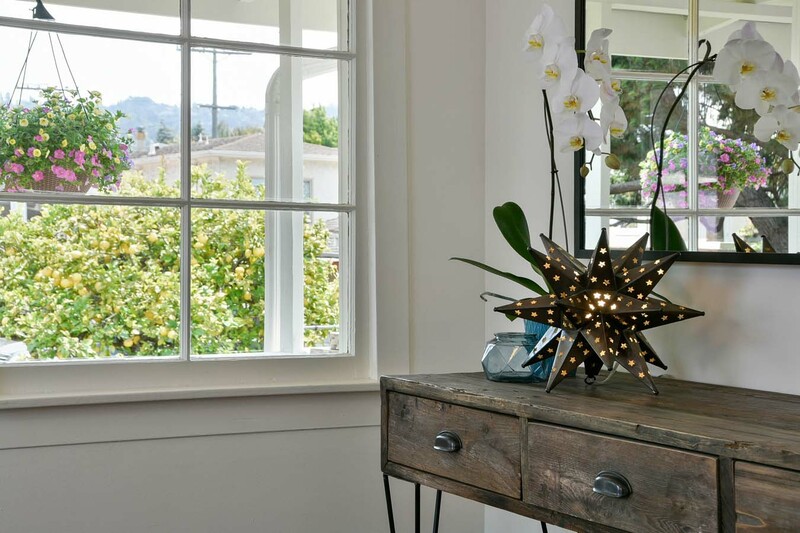 From the moment you approach the house you know you are somewhere special. 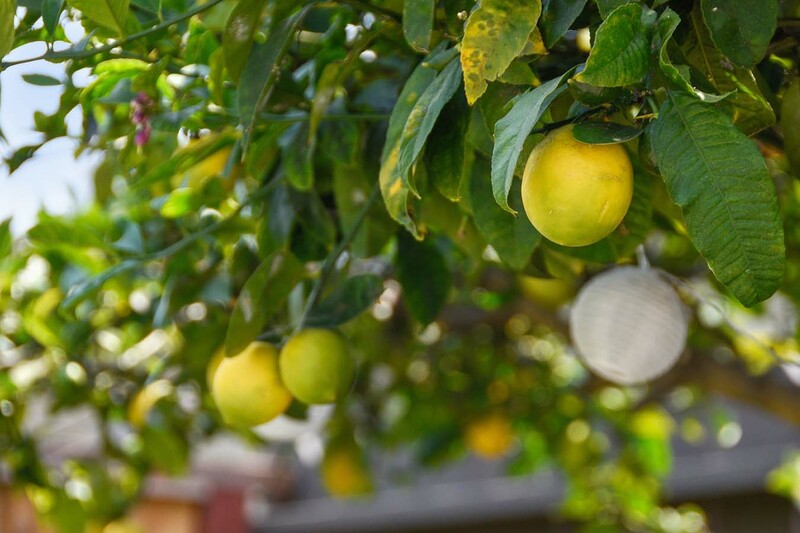 The front garden has been carefully designed to include earth-friendly varietals as well as fruit trees. 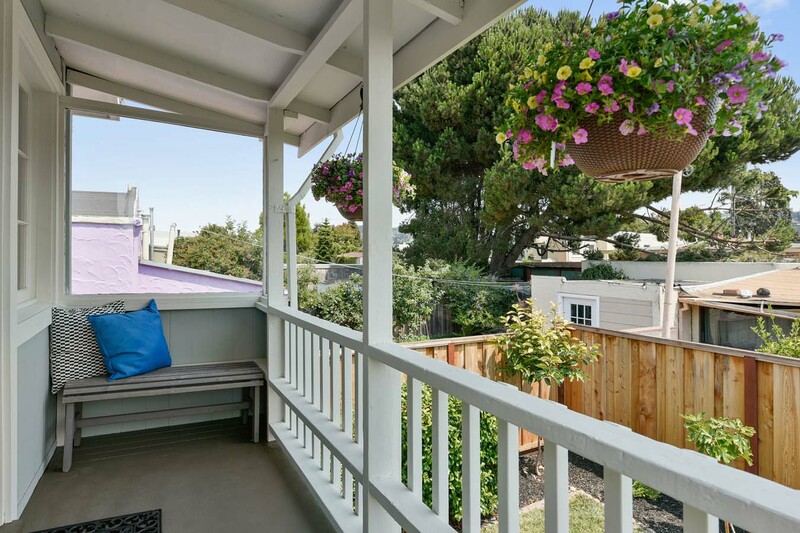 A beautifully-constructed pergola with kiwi vines growing up the side graces the driveway. 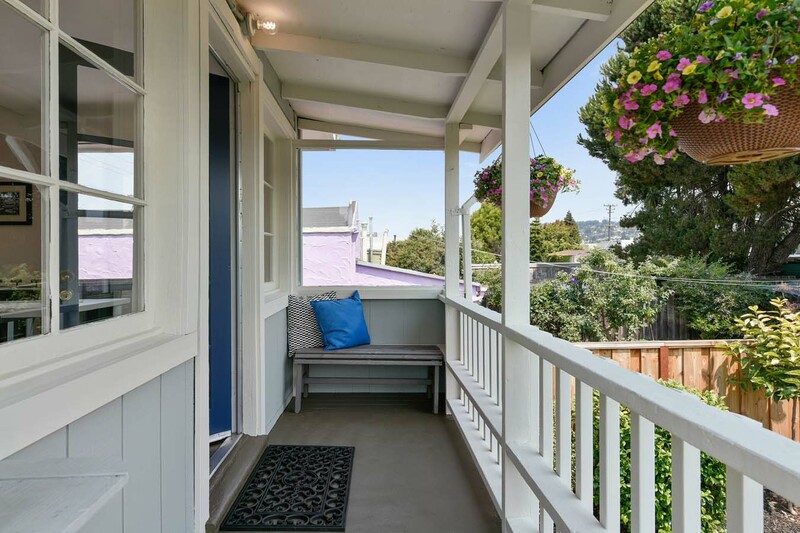 The freshly-painted exterior is welcoming and a wide walkway allows for many possibilities. 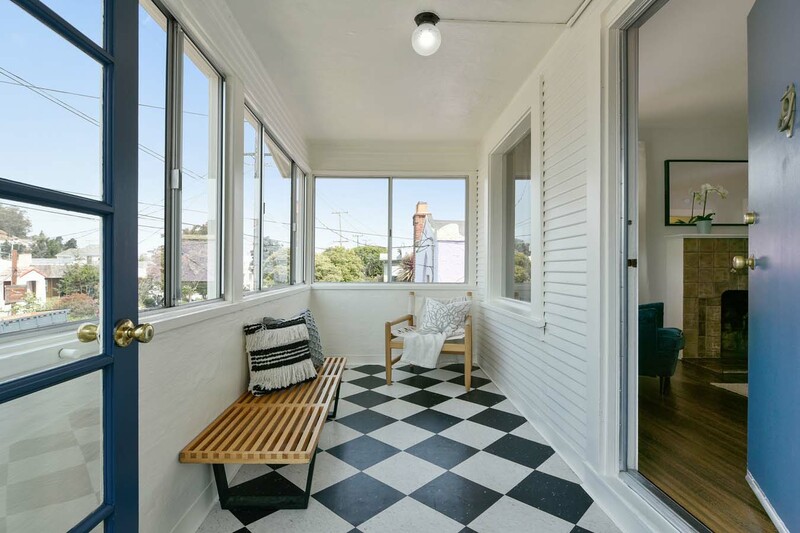 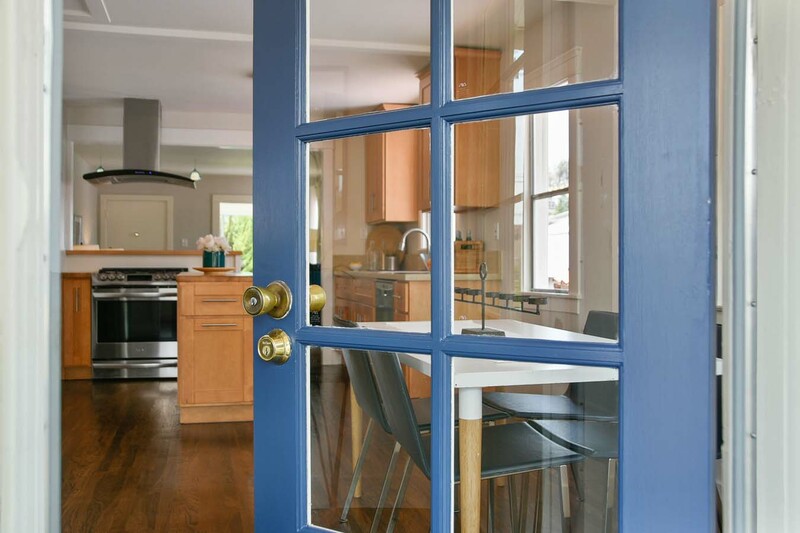 At the top of the steps the blue glass-paneled door is ready to greet you; through the door is an enclosed mudroom encased by windows where you can take off your shoes or hang your jackets. 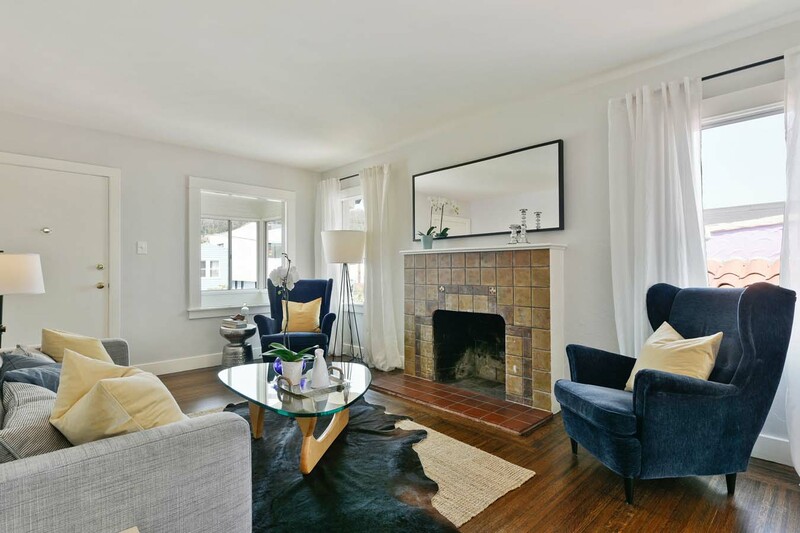 The first thing you will notice upon entering are the beautiful, dark hardwood floors flanked by the gorgeous fireplace. 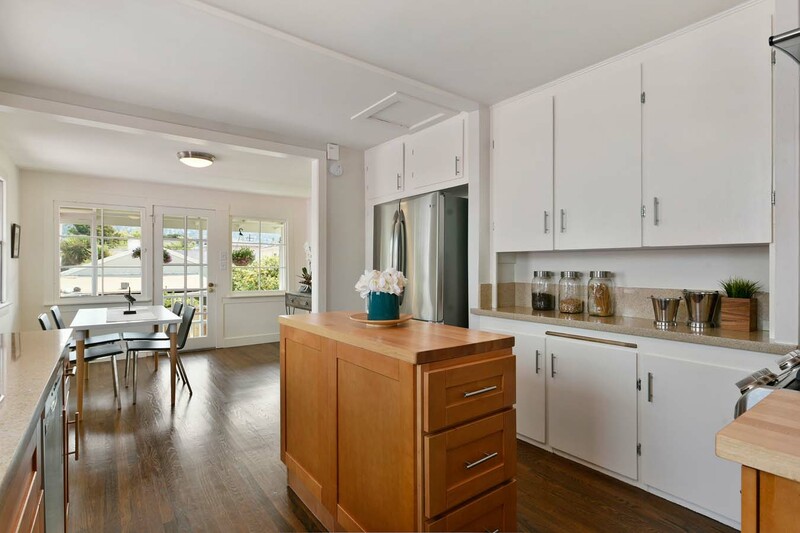 The heart of the house is the kitchen, which is situated between the living room + dining room. 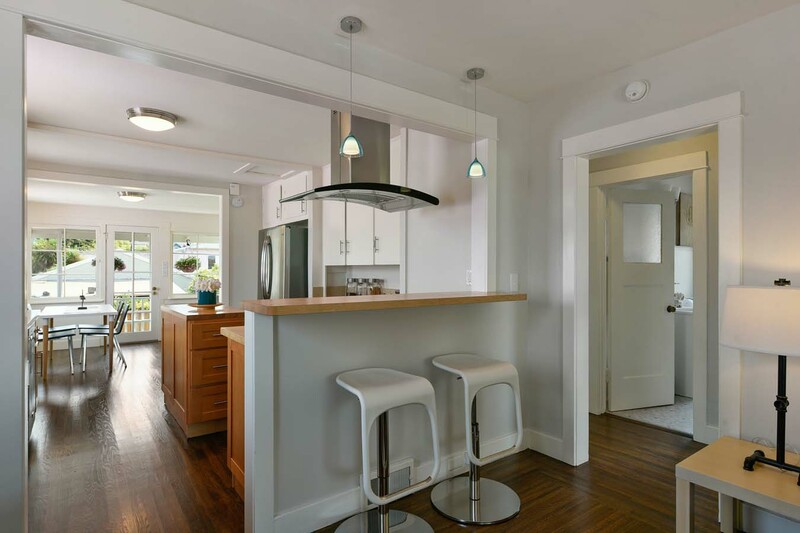 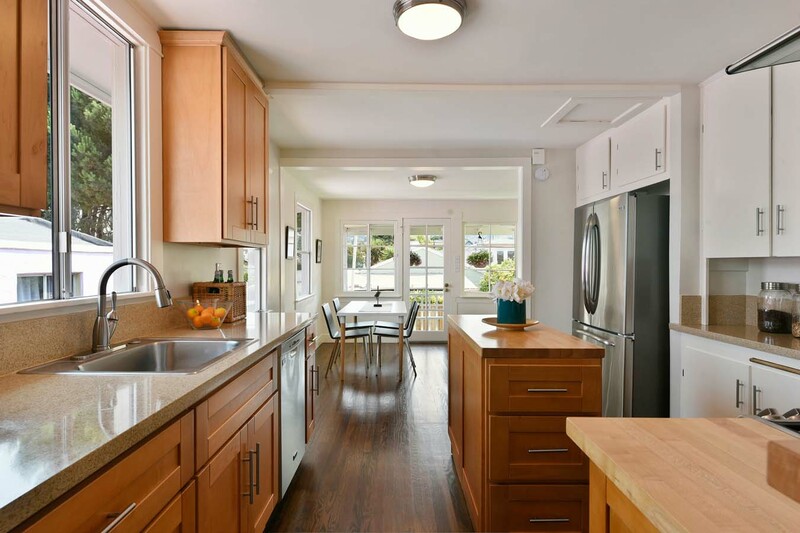 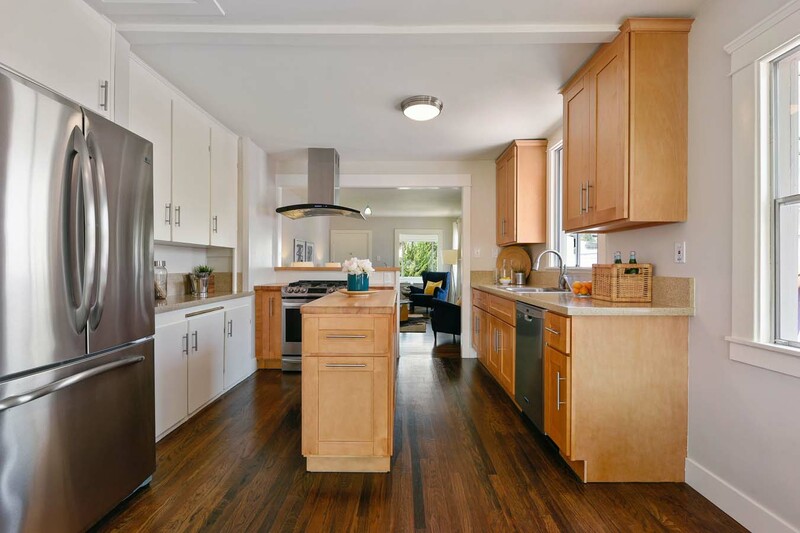 Recently updated, the kitchen is centered around a butcher-block island while the breakfast bar provides additional seating so you easily talk with friends while preparing dinner. 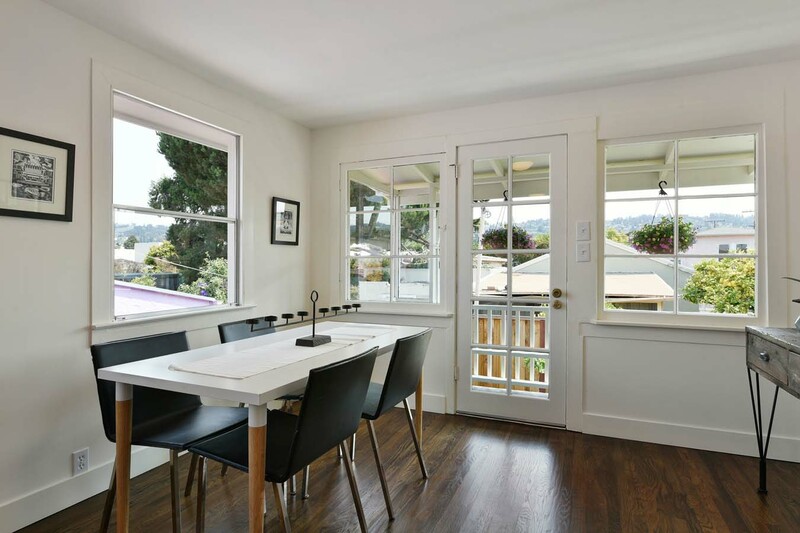 Enjoy meals in the dining room while looking out onto the hillside. 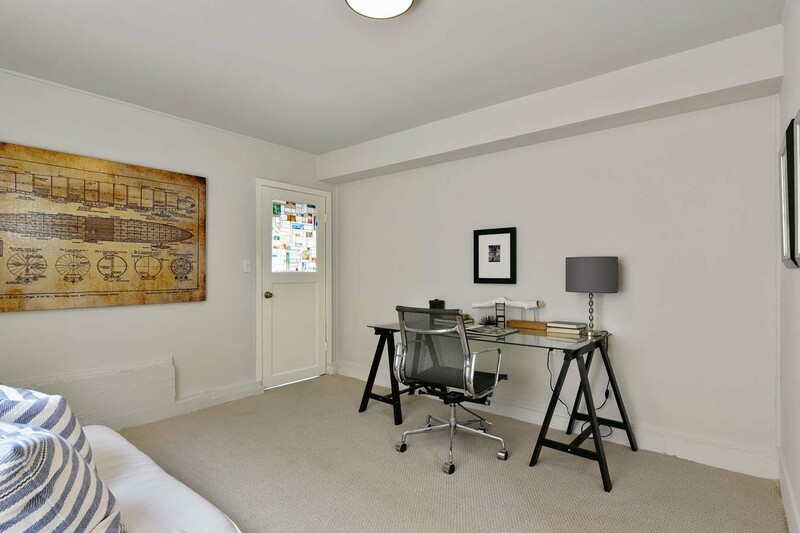 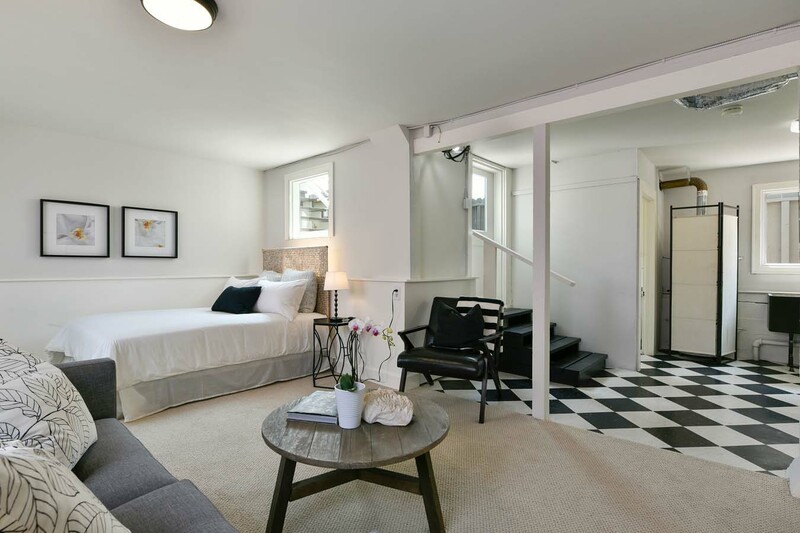 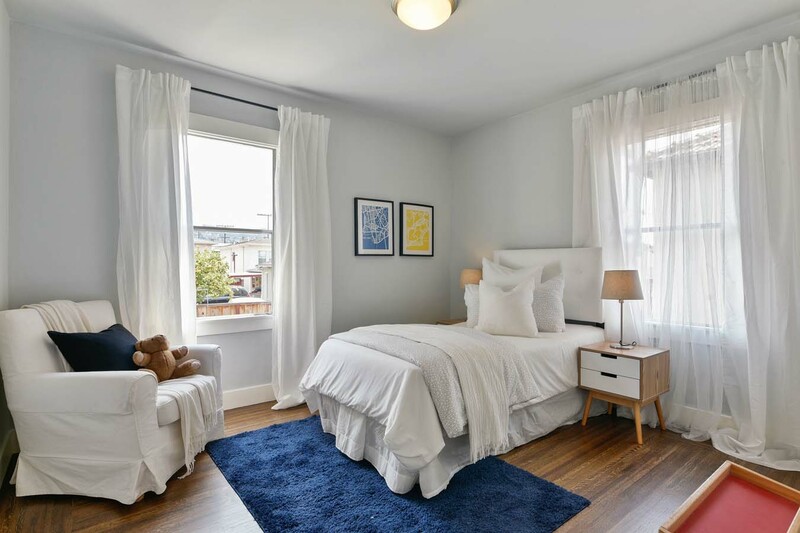 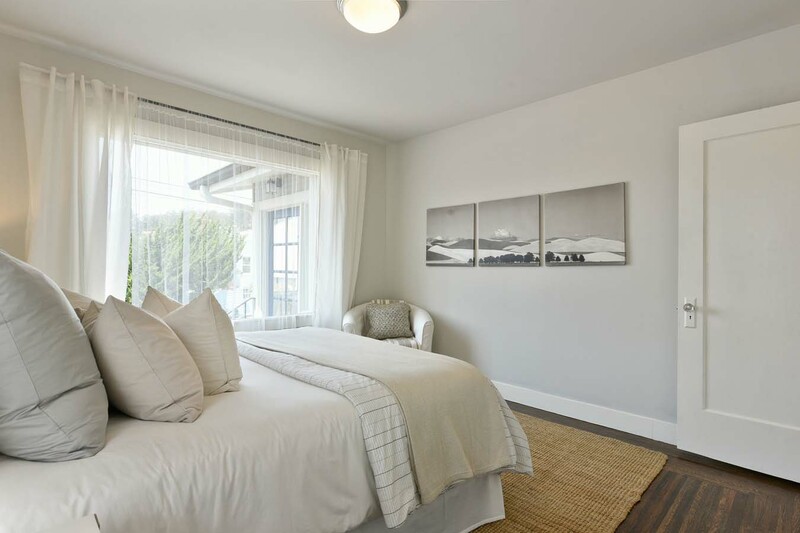 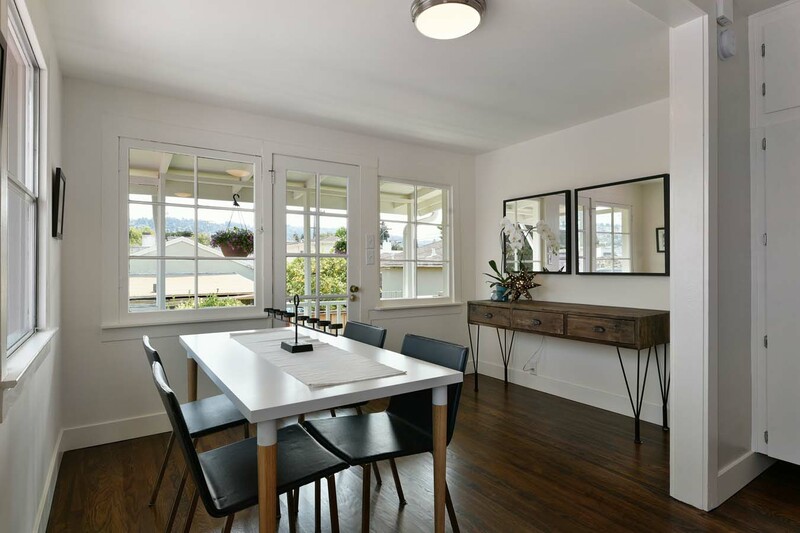 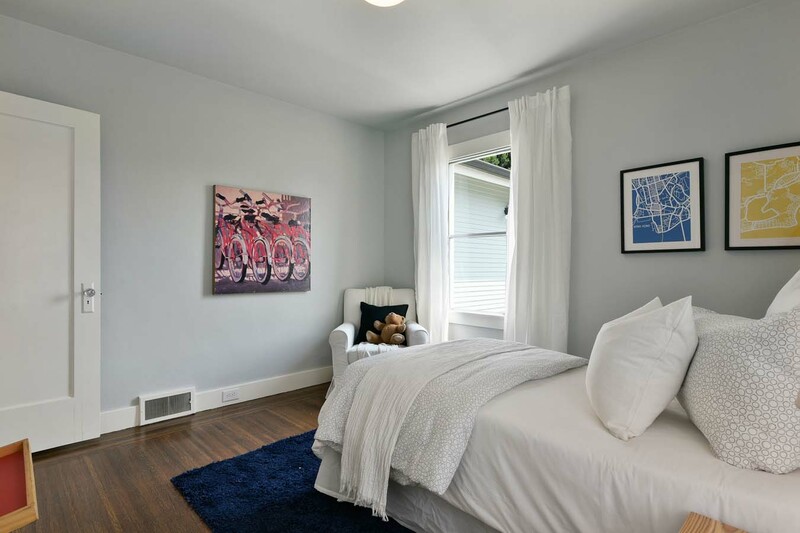 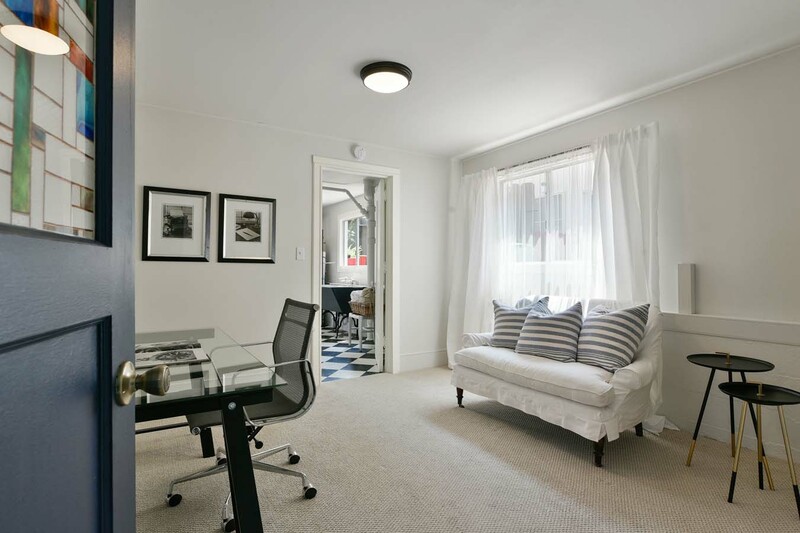 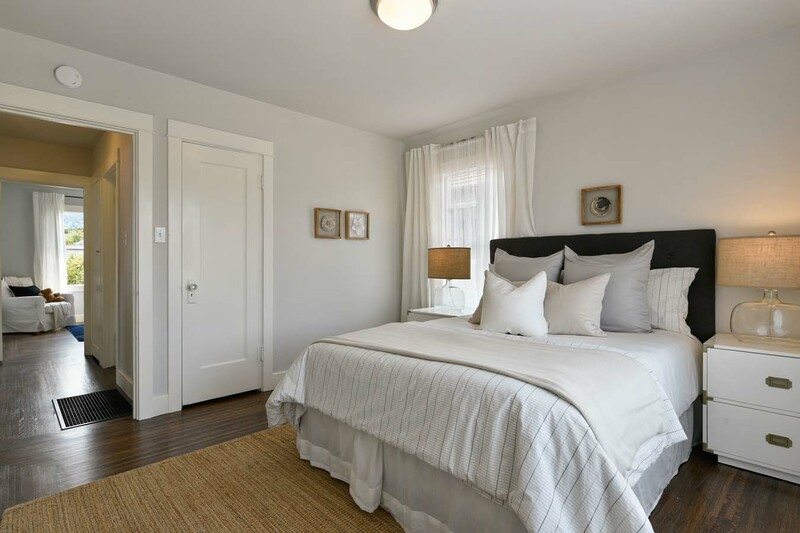 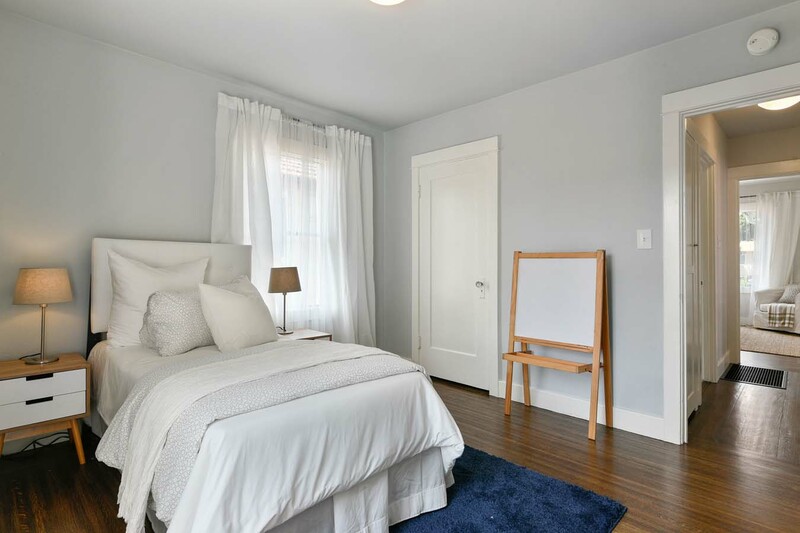 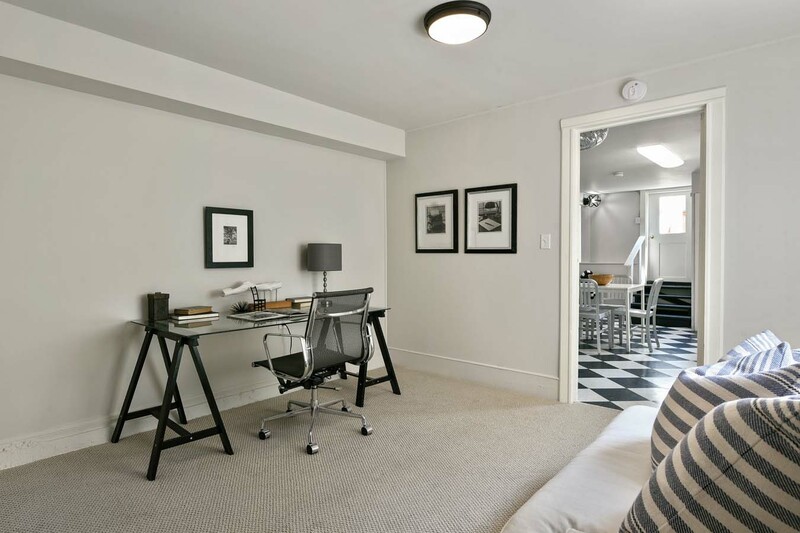 Upstairs you will find two sunny bedrooms complete with fresh paint, new light fixtures, and beautiful wood floors. 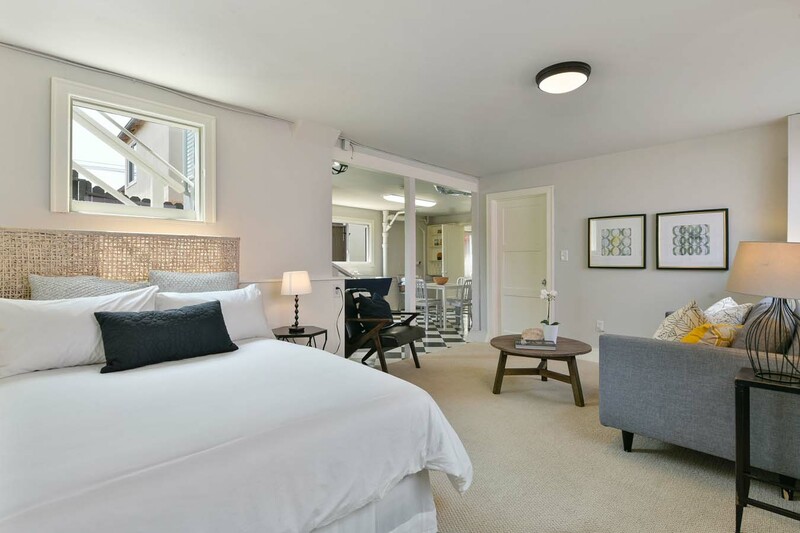 Downstairs is an additional bedroom that could be used as an office, guest suite, or third bedroom. 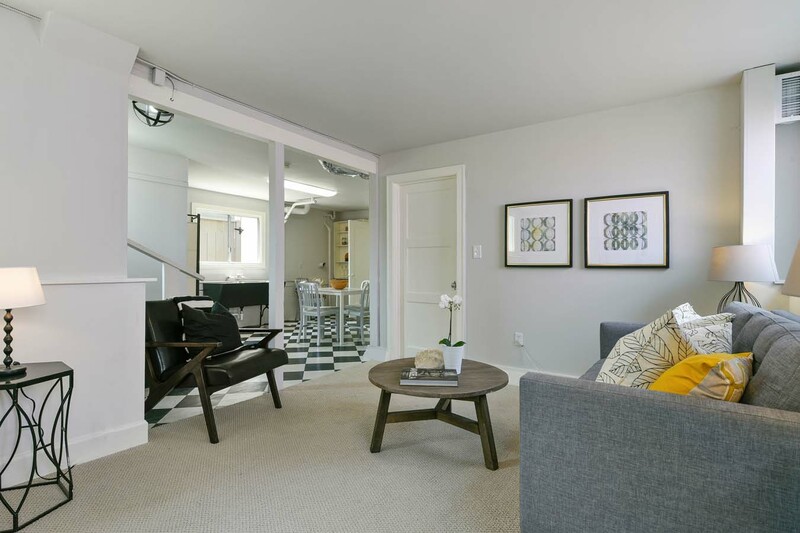 The downstairs living space has been thoughtfully finished and is a great addition to use as a family room, rumpus room, or even a guest room. 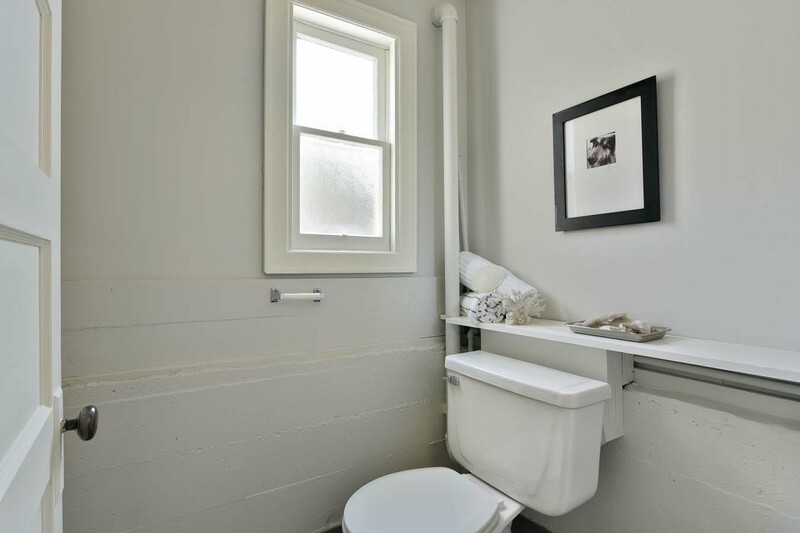 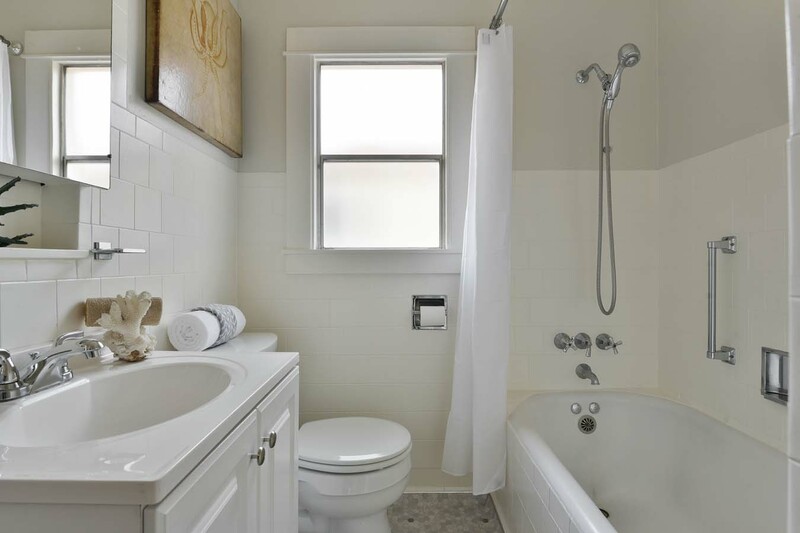 While there isn’t interior access, it is accessible from both the front and back of the house, making it perfect for an in-home office, guest bedroom, au-pair, or in-law unit; there is even space to extend the existing ¼ bath into a full bath and add kitchenette. 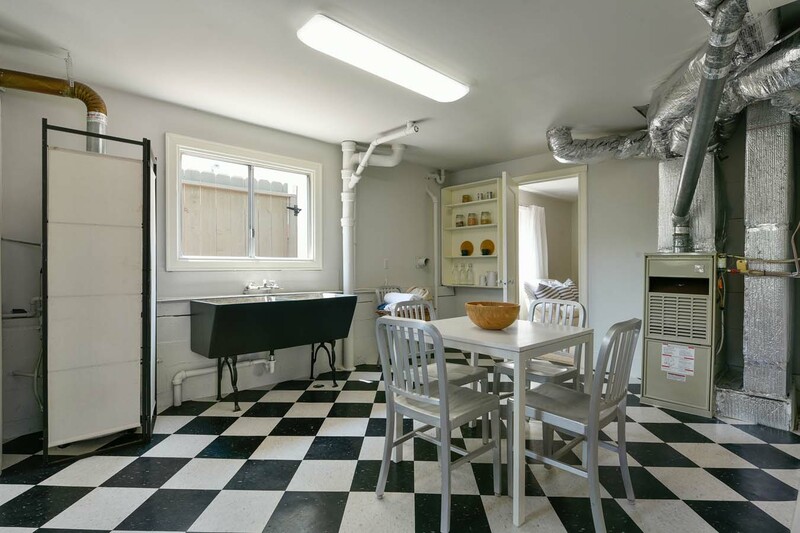 There is a one-car garage with second refrigerator + workbench and interior access to the family room. 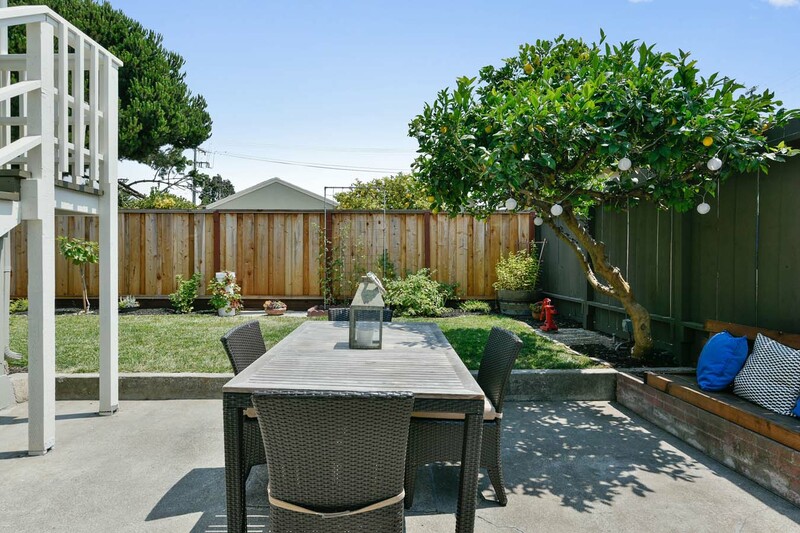 The backyard features multiple possibilities for enjoyment. 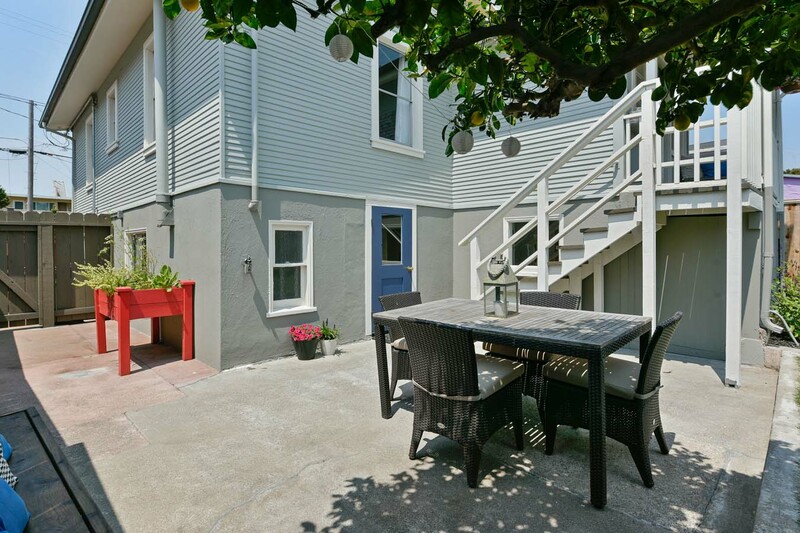 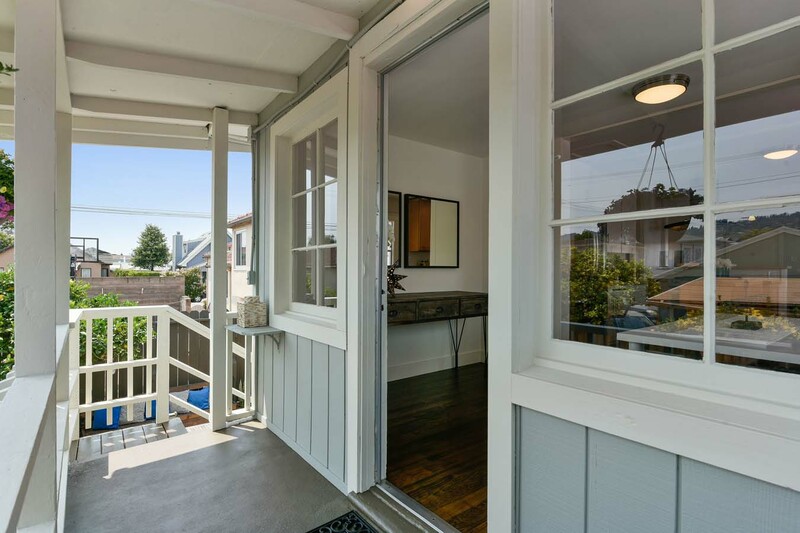 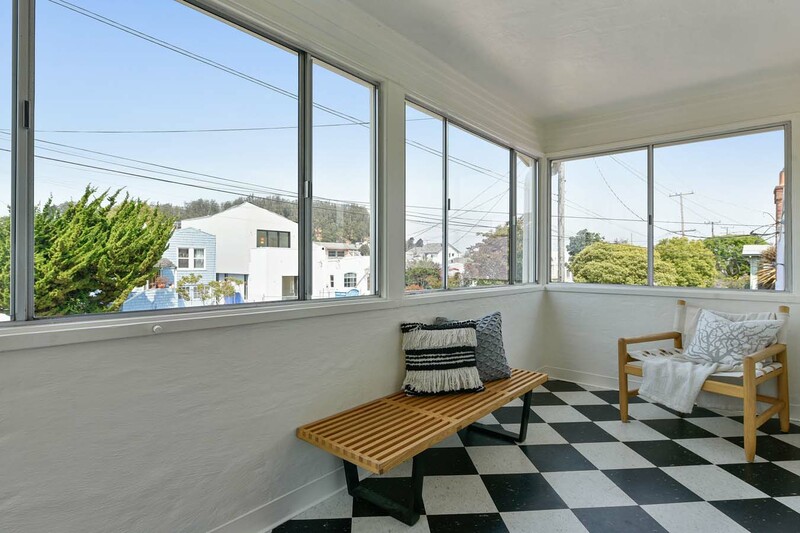 Sit out on the back porch with a cup of coffee and watch the sun as it rises over the Berkeley Hills. 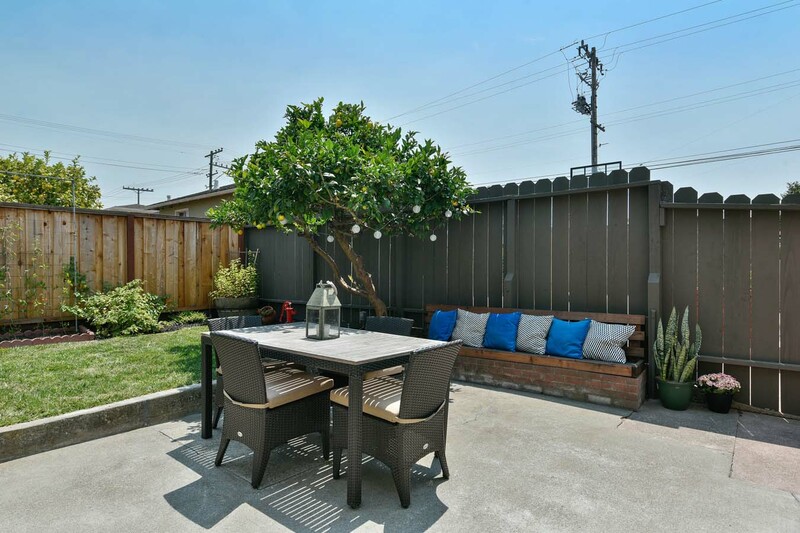 Set up a bbq and add a table for dining al fresco or place a fire pit near the built-in redwood bench and enjoy evenings with friends. 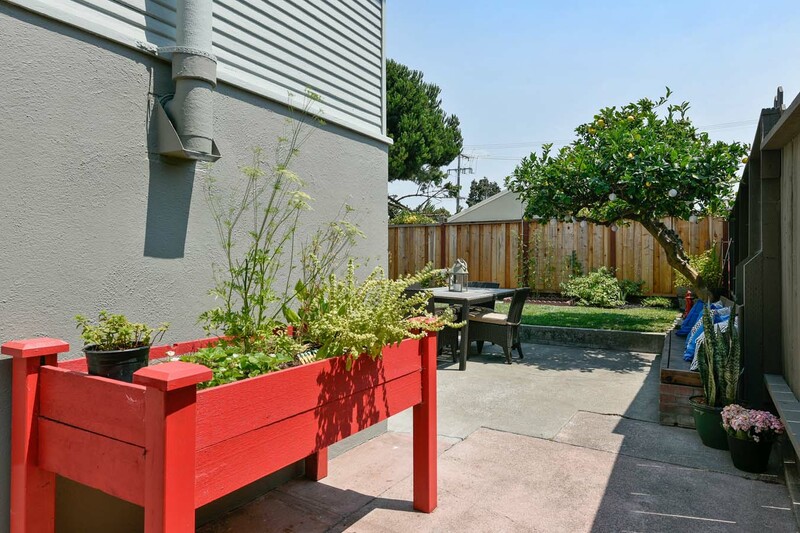 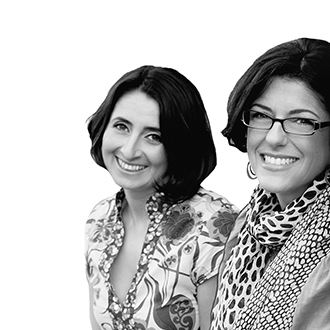 There is a grassy area for doing cartwheels or lounging, or grab some strawberries, gooseberries and fig + tomatoes right off the vine. 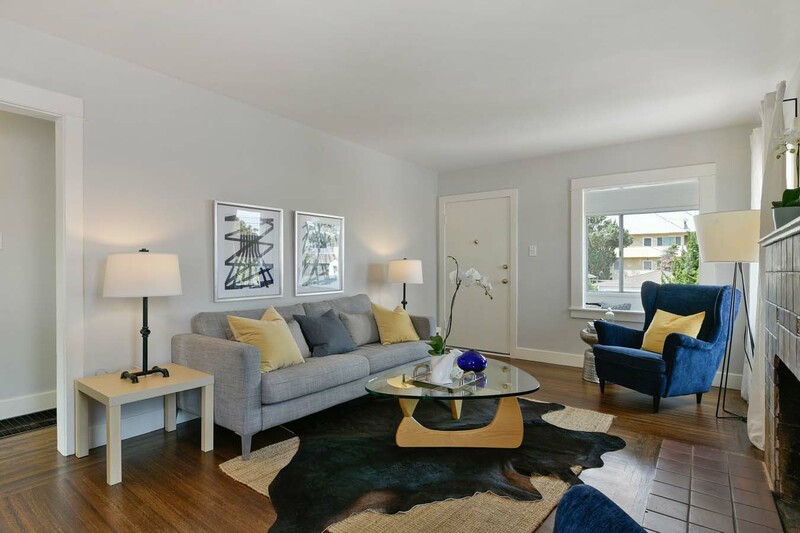 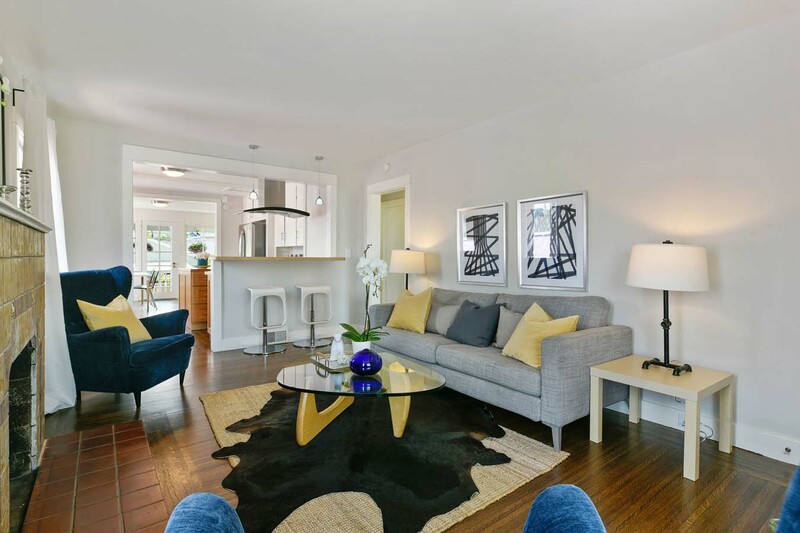 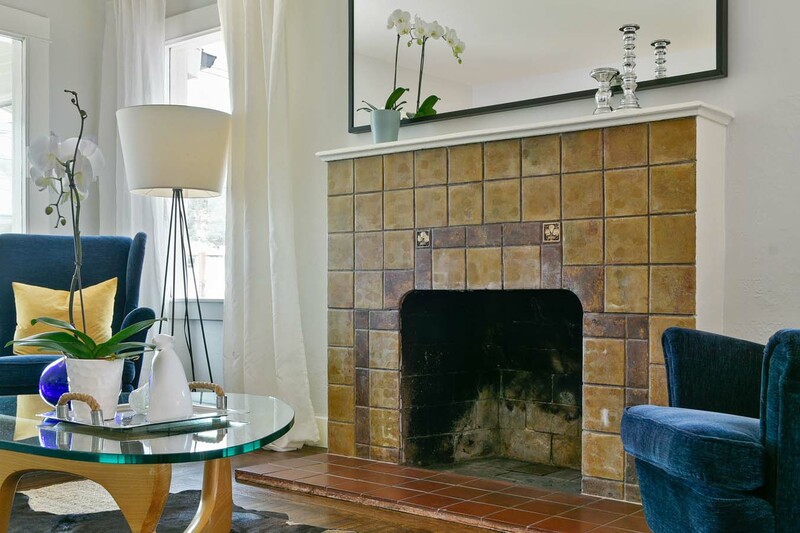 737 Cornell Avenue is conveniently located near many amenities including local shops + boutiques, incredible restaurants, beautiful parks, and easy access to public transit and freeways.